If you're looking for the fun and competition of a race without needing to leave the house, there are dozens of racing games to play. 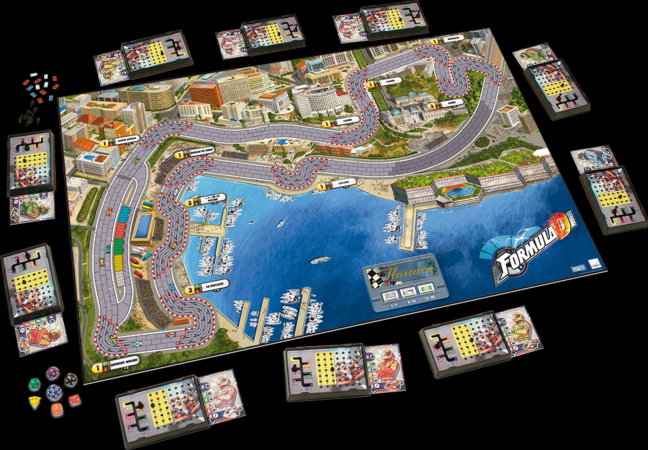 Race through the streets of Monaco in Formula De. Take care of your tires, engine, and fuel levels while maneuvering the tricky turns of the board. Basic and advanced rules keep the game fun for players of all levels. While many games are based on formula racing, Daytona 500 brings the thrill of Nascar to a board game. Draw cards to move around the track, take advantage of the passing lane, and block your opponents. If you're tired of drawing cards or rolling dice to determine the outcome of a race, PitchCar might be the game for you. Players move their pieces along the racetrack with a flick of the fingers. Control your car set-up with Bolide for a more hands-on approach to racing. Yet even the best planning is no match for the unexpected dangers that appear with a roll of the dice. Can you get your zombie to the cemetery gates first? All Wound Up adds a unique twist to the race by making the pieces wind-up toys. Game play determines how many times you wind your zombie and when you can change directions. Help a band of pirates escape from the prison fortress of Cartagena in the game of the same name. The board recreates a perilous underground tunnel and players must use strategy to find the quickest route to the end. If you're looking for a little fantasy in your racing, take off with the Dragonriders. Winning the game depends on balancing speed and maneuverability, and a two-sided tile track means every game is a new experience. 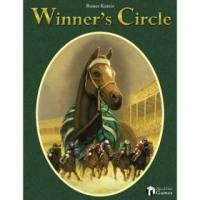 The Really Nasty Horseracing Game starts out as a basic game of rolling the dice to advance around the track. The "nasty" part starts when betting comes into play. The old adage that cheaters never prosper doesn't apply in this game. Travel back in time with Arena Maximus and become a charioteer in ancient Rome. Race for the finish line while avoiding traps and dangers, and if you fall behind, a little magic might mean the difference between winning and losing. For younger players, Schildkroetenrennen offers a brightly-colored animal racing game. Be the first to get your hungry turtle to the salad at the end of the board. Set sail with Cape Horn as you maneuver a clipper ship along trade routes. The key to winning the game is carefully managing your wind cards to speed your ship along while also deterring your opponents. Live through one of history's greatest tragedies with Pompeii. Pompeii starts as a city-building game, as players try to attract more citizens to the town. However, once the Vesuvius card is drawn, it becomes a race for survival. Fans of the Dork Tower comic strip will enjoy Warhamster Rally, bringing the artist's unique sense of humor to a racing game. Play as your favorite Dork Tower characters while you struggle to be the first to bring your Warhamster across the finish line. Taking on the role of factory-running supercomputers, players race spare robots in the Robo Rally. With an ever-changing assortment of obstacles like lasers and conveyor belts, it's always a new game. Most of the available racing games to play aren't the type of games you can find in the toy aisle of a discount retailer. They're distributed by small publishers and sold by dedicated game shops. If you have a local gaming store or a general hobby shop, they may carry these games and should be able to order any titles not currently in stock. For the largest selection, shop online at stores Time Well Spent, among others.